Animals can’t tell you when they’re sick, so the only way to know is through observation. When it comes to bats, the illness most associated with the creatures is rabies, an incurable viral encephalitis infection that despite widespread assumptions is found in only one percent or less of the bat population. Nevertheless, even that low incidence is enough to urge caution. Bats afflicted with the rabies virus usually don’t demonstrate until the disease is well advanced, residing in the animal’s brain in dormant state until such time as it “sheds” the virus – that is, the virus assumes an active state during which the symptoms appear. At that stage, it travels from the animal’s brain to its salivary glands. If an infected animal bites you at that stage, you’re in trouble. If you encounter a bat, you can avoid becoming infected by recognizing rabies symptoms and acting accordingly. In most cases, they manifest in the form of abnormal behavior. For example, as nocturnal creatures, bats tend to remain out of sight during the daylight hours. 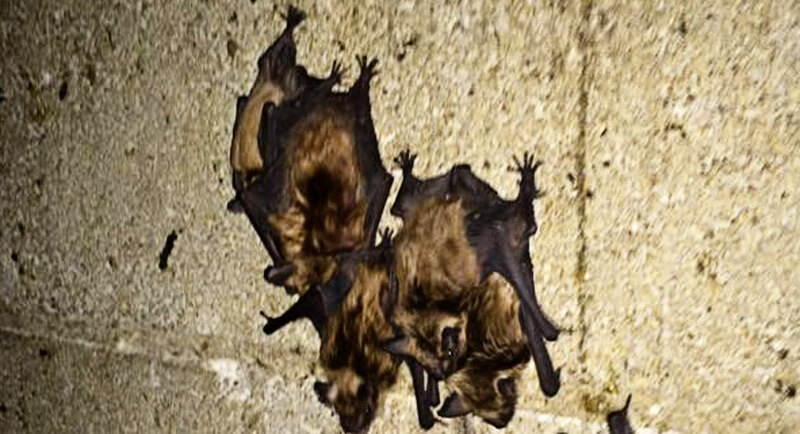 Rabid bats may take to flying during the day, often having trouble maintaining their normal efficient flight. Ultimately, they may fall to the ground and be unable to become airborne. On the ground, an infected bat may appear to be agitated, snapping at real or imaginary objects. It may appear disoriented or partially paralyzed and it may attempt to mutilate itself. Conversely, it may also be quite placid, demonstrating no fear of humans. In any case, it is best to remove the bat, and thus the risk to yourself and others. If you can capture or isolate the bat do so, cautiously. A veterinarian can examine the animal to determine if its problem is indeed rabies. Other viruses have also begun to emerge among bat populations, more than 30 of them representing a potential threat to humans. Called zoonotic viruses, they exist primarily in countries in the Southern Hemisphere. The most well-known of these is Ebola, which came to prominence with the return of travelers and healthcare workers from certain parts of Africa. Another is the Nipah virus, which apparently originated in Malaysia but has since spread to Bangladesh and India. Another, called Lyssavirus, has been blamed for the deaths of several people in Australia. Finally, a non-viral infection called White-Nose Syndrome has recently emerged among hibernating bats, wiping out as 90-100 percent of a bat colony. A fungus infection, it causes unusual behavior in the infected animals, such as flying around outside and clustering outside the entrance to the hibernaculum during daylight hours. The disease is currently under study and its risk to humans is still unknown. Go back to the main Bat Removal page for more information about Symptoms of a Sick Bat.